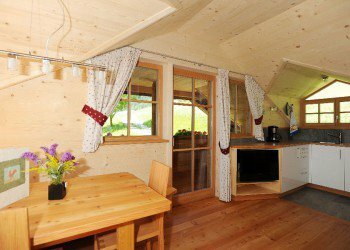 The farm Prackfiedererhof in Villandro welcomes you with three spacious holiday apartments and a newly built holiday house. The apartments are located in the main building of the South Tyrolean farm and are called “Sciliar”, “Sasso Lungo” and “Sella”. The names say it all, because from your balcony you will enjoy a fantastic view of the bright limestone peaks of the Dolomites. 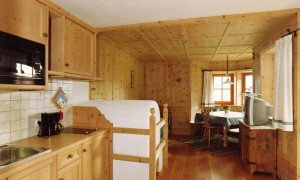 All vacation rentals in Villandro have a built-in wood stove for cosy winter evenings, and stone pine panelling. The essential oils of the wood are known to have a positive effect on the cardiovascular system and guarantee a peaceful night’s sleep. Our farm is energy efficient; the electricity is generated by our on-site hydroelectric plant and the heater is operated with our wood. 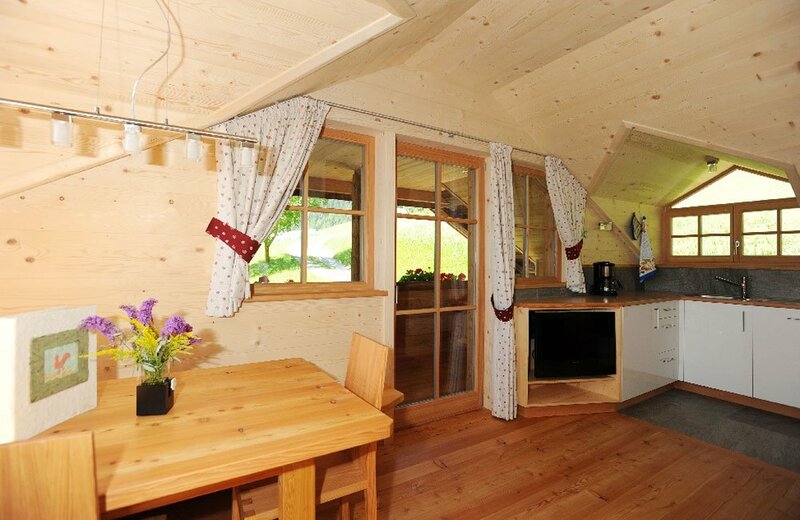 Arrive and feel good – The holiday apartments at the farm Prackfiedererhof have been furnished according to this belief. The spacious holiday accommodations offer a cosy living area, a fully equipped kitchen with fridge, coffee machine, microwave and cooking facilities, and a modern bathroom with shower, WC and hairdryer. A satellite TV is available, and upon request we provide toddler equipment with cot and high chair. The apartment “Sciliar” has two separate bedrooms and can accommodate up to four people. The other two apartments are designed for two people. Towels and linens are, of course, available at the farm Prackfiedererhof.